Elite National Championship. Photo: Steve Wasmund. His primary sponsor bailed on him. Just as he was getting ready for the biggest races of the season. But Utah resident Jonathon Page wasn’t about to let the lack of a bike sponsor get him down. No, the no-nonsense racer scrambled, found a bike sponsor in Fuji and counted on long-standing relationships with long-standing product sponsors to get him to the start line at USA Cycling Cyclocross Elite National Championships. Once he got there. Page didn’t disappoint. Taking an early lead, Page held off all challengers and found himself with another Stars and Stripes jersey with a 47-second win at the frosty Madison, Wisconsin course. Fellow Utah resident Jamey Driscoll (Cannondale/Cyclocrossworld) gave the Beehive State two racers on the podium as he followed Zach McDonald across the finish line for a third-place finish. Page wasn’t the only Utahn to take the big step to the top of the podium. Park City youngster Katie Clouse, already a national mountain bike champion, added more hardware to the family trophy case when she absolutely blew the competition away in the junior women’s 10-12 field. Starting a couple of minutes behind the junior men’s 10-12 field on the same course, Klouse (Cole Sport) took the early lead and never looked back. After her rapid start, Klouse put more time into her competition with each lap. When her race was over, she had clawed her way to what would have been a top-10 finish in the 10-12 junior men who started ahead of her. Her lead over second place Ariana Shafer of Illinois was 2 minutes and 58 seconds. Katie wasn’t the only member of the Klouse family to find the podium in Madison. Big brother Evan finished second in the junior men’s 13-14 division behind Colorado’s Denzel Stephenson. Page’s win highlighted a whirlwind month of two of uncertainty after his two primary sponsors were sold and subsequently dropped the veteran racer as the businesses sought to trim expenses. But with Fuji and other sponsors backing him, Page found himself in a group of six elite racers and eventually built a lead that was too much to overcome. McDonald tried to close Page’s gap and got to as close as seven seconds with two laps remaining, but Page powered away over the final two laps. Matt Shriver, a Pocatello, Idaho native who has called Utah home at times, rode an inspired race to capture the Masters 30-34 crown. With the memory of his father who had passed away during the previous year in his heart. 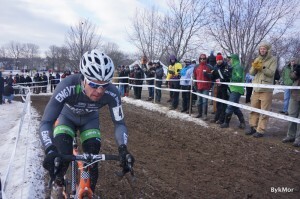 Shriver pedaled his Trek Cyclocross Collective bike to victory. Lewis Rollins, Contendor Bicycles, had another stellar result at nationals, placing second in the Masters 65-69 field after getting pipped at the line by Pennsylvania’s Leone Pizzini. Kris Walker, also with Contendor, placed second in the women’s Masters 50-54 field. 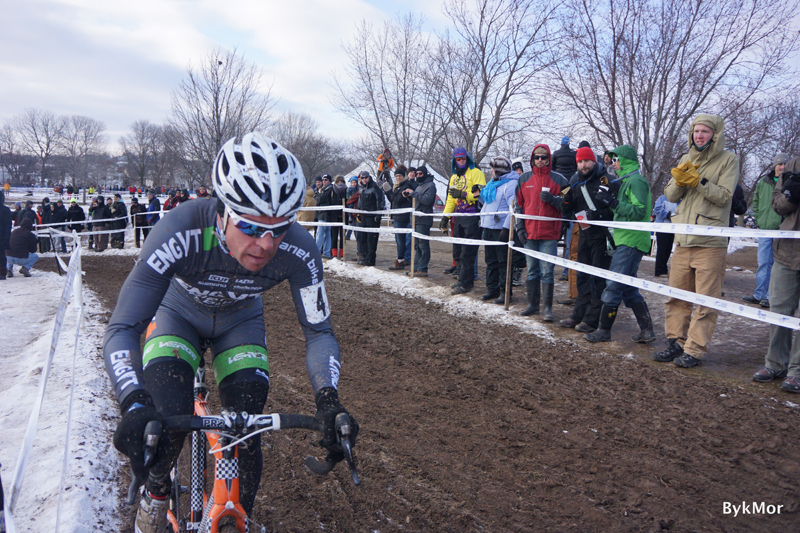 At the World Championships a few weeks later, Page rolled in with a 22nd-place finish as Sven Nys dominated the field. Driscoll finished 27th. For full results, visit usacycling.org.